At the start of a new season, every college sports team must find ways to replace graduating seniors. However, for Virginia Tech men’s basketball, this seems a far more difficult task heading into the 2017-2018 season. 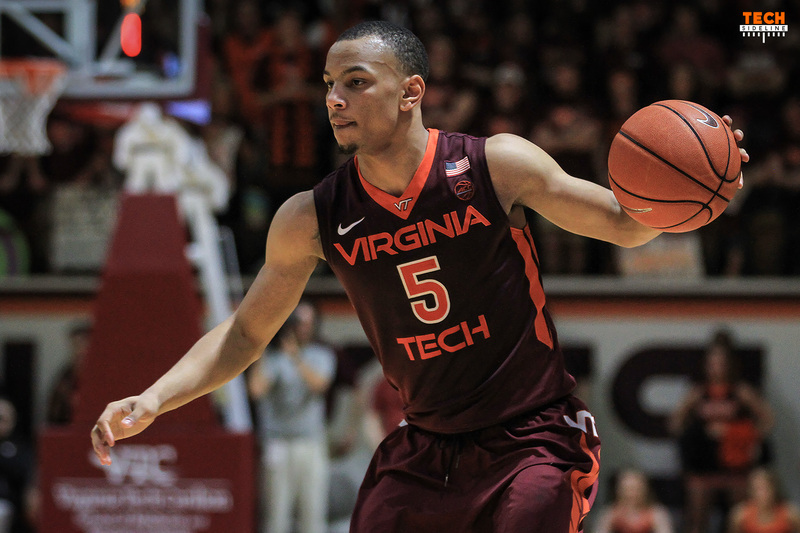 Seth Allen and Zach LeDay were the heart and soul of the Hokies last season. The two led Virginia Tech in scoring, while both shot better than 53 percent from the floor. Allen served as Tech’s closer, hitting several big shots at the end of games to push Tech over the top. LeDay served as a steady force, scoring and rebounding down low despite being generously listed at 6-7. Allen and LeDay were two terrific players, and now they are gone. Virginia Tech does have a few older players who might be able to fill the leadership void. 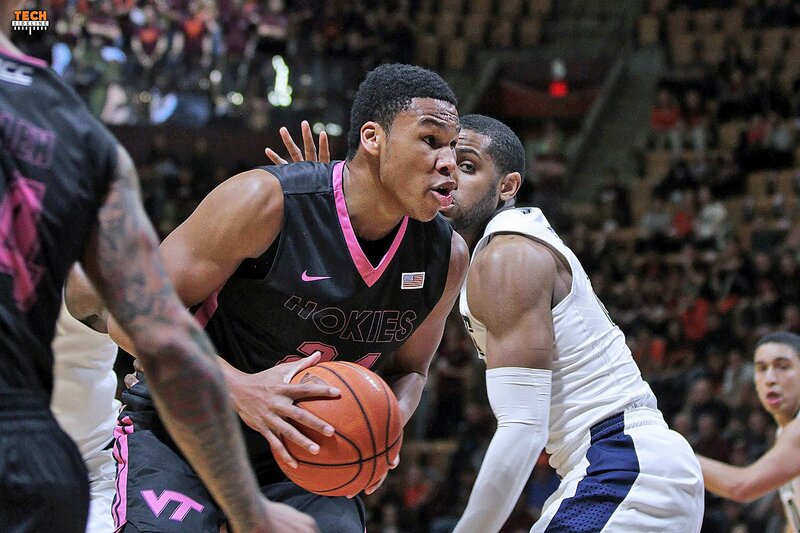 Ahmed Hill and Justin Bibbs are both in their fourth year in the program, while fifth-year senior Devin Wilson will also be available for the Hokies. Justin Robinson, Chris Clarke and Kerry Blackshear are also in their third year in the program. Still, it’s hard to replace guys like LeDay and Allen. In order to replace Allen and LeDay’s production, Virginia Tech will rely on improvements in several areas, one of which is defense. The Hokies struggled defensively last season, allowing 74.7 points per game, which ranked 236th among Division I teams. The defensive statistics were the exact opposite of how Tech performed offensively, as the Hokies led the ACC in field goal percentage, three-point percentage and effective field goal percentage. 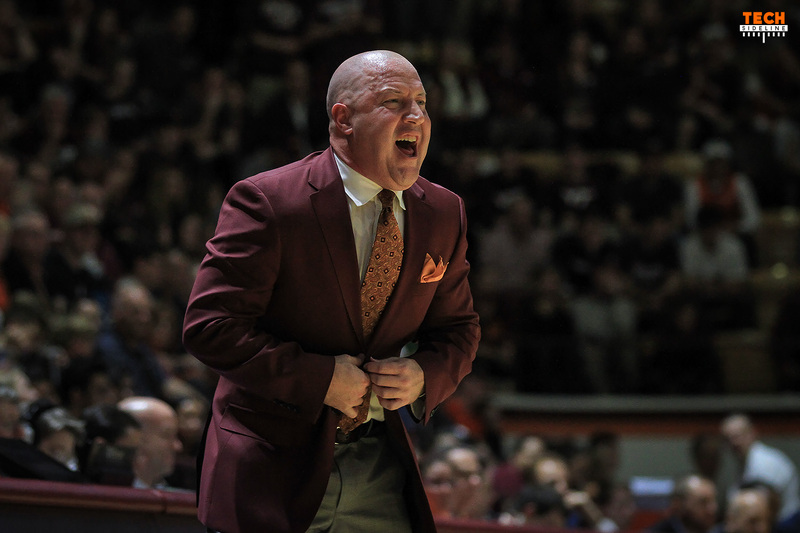 “But defensively, we were in the 10-13 range [in the ACC] in any defensive category that really matters,” said head coach Buzz Williams, who is entering his fourth season at Virginia Tech. “So, you finish sixth or seventh, because that’s the combined average of what you are. I don’t know that we’re first in those offensive categories, I hope we are, but I know we can’t be in that 10th-13th range and expect to continue on the path that we’ve been on. Being good defensively will require Robinson and Clarke to be available. Clarke tore his left ACL in February of last season, and has been rehabbing ever since. His versatility, athleticism and rebounding prowess make him an ideal power forward on both ends of the floor in Williams’ system. Clarke said that as of now, the trainers believe he’s about 85-90 percent healthy. Clarke said he feels good to go, but that he isn’t sure when he’ll return to the floor. Williams, who often is cautious with bringing players back from injury, said that Clarke could be ready by the beginning of the season. “I think it’s close,” Williams said. Robinson missed all of Virginia Tech’s summer workouts due to a torn quad. It was the first time since his arrival to Tech that Robinson has missed any time. Robinson started at point guard again last season, and plays an important role on offense and defense. Robinson believes he’s ready to go, but understands that Williams isn’t going to rush him back. Robinson received a PRP (platelet-rich plasma) injection for his quad, and has felt better and better since the shot. While Virginia Tech may not be able to recreate Allen and LeDay, they hope the incoming freshmen class can make an impact. The Hokies signed Nickeil Alexander-Walker, Wabissa Bede and PJ Horne for the Class of 2017, and all three are likely to see the floor this season. “We’ve got to figure out how to utilize each of those guys in the best way, because I think…early on, we’re going to be dependent upon them, and we’re going to have to hurry up and figure out how to best utilize them because of the holes in our roster,” Williams said. Alexander-Walker is the most heralded of the trio. The 6-foot-5, 210-pound wing player was rated as a 5-star prospect by ESPN, and is widely considered to be one of the best freshmen in the country. His versatility and talent should place him in a prominent role early. Even though preseason practice hasn’t started yet, Alexander-Walker has been told he has the green light to shoot it when he sees fit. Bede is another highly-regarded freshman. At 6-foot-1 and 195 pounds, Williams is expecting Bede to be ready to contribute defensively right away. Horne might be the closest thing to Zach LeDay Virginia Tech will ever see. Horne has a similar body frame at 6-foot-5 and 215 pounds, and is already drawing LeDay comparisons. Horne said that he’s studied LeDay’s game, and built a relationship with him during his recruitment. Horne will be backing up Kerry Blackshear most likely. Blackshear missed all of last season with a foot injury, but is a full-go as of now. At 6-foot-10, Blackshear is the only recruited scholarship big man on the roster with traditional size. Even with all of the questions, Virginia Tech feels confident that they can overcome their obstacles. They’ve done it through the first three years of Williams’ tenure, so why stop now? I can not believe he would say that………….based on what HE did last year and what he did . i.e. he was strongly against anything that disrespected out country …………. such as kneeling ……….. etc. He has a torn ACL and is out for the year. I sure as hell hope not. You kneel you disrespect the flag, the military, and our wonderful country. Protest on your on time not VT time. 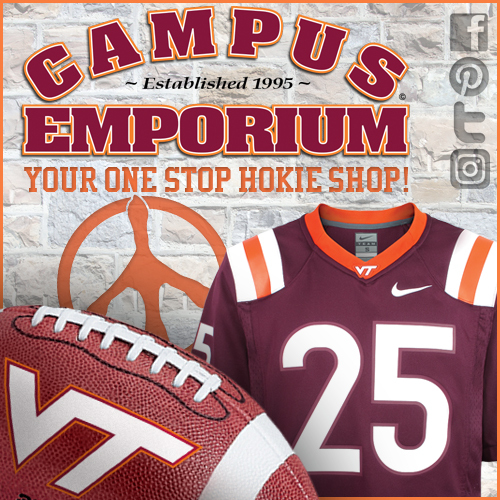 Go Hokies live to your motto …….. Ut Prosim ……… in someone doesn’t know what it means …. Everyone is entitled to their opinion and supporting the causes they feel are important. It so happens that my opinion is such: kneeling during the National Anthem is just attention drawing disrespect and I won’t support an organization or person that promotes it. Yeah, my Ut Prosim is not universal for all groups or ideas. So if you think this kneeling thing is disrespectful, I’m happy to call you friend. If you don’t, you can walk your side of the street and I’ll walk mine. veterans in The Cassell may turn their backs on the team. Any thoughts? Hmmm, didn’t see anything in the article about the national anthem or kneeling. Isn’t this team fighting enough of an uphill battle without introducing this sticky wicket into the conversation? Already I see most of the comments above are about this, not the article.